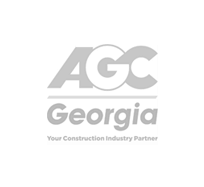 Atlas Piers has been serving Georgia with quality work you can count on. Our coverage area is continuously expanding. If you need service and do not see your city listed, please contact us, we may have already expanded into your area. We have the experts on staff and use the very best in piering products from Earth Contact Products. So for all your residential and commercial foundation repair in Georgia needs, Atlas Piers of Atlanta has you covered. If you’ve noticed any of these problems around your home or business, the best solution is to call Atlas Piers of Atlanta and have a professional repair the damage. These are just minor symptoms of a much larger problem that most likely needs to be fixed with underpinning and some form of encapsulation. Treating the minor problem, such as filling in a crack on your wall, will not solve the issue as a whole. There are many different types of piers or pilings that work well depending on a number of factors including age and condition of your foundation, the extent of damage, and the type of the soil in your area. Contact us today to diagnose your problems and get you back on the right track. 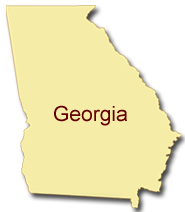 Every home in Georgia is different, as well as the type of foundation repair we will recommend. Most of your homes foundation repairs will be done by installing piers of various different types under your foundation to raise and support it. The heavier your home the more piers we will need to use because they’ll need to be installed closer together. 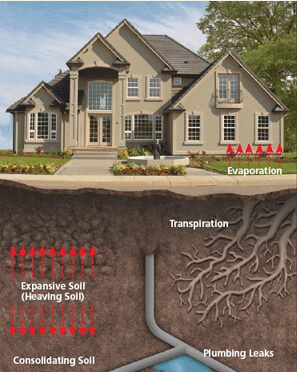 We have engineers on staff that can evaluate the type of foundation problems you are having. The signs of foundation failure include bowing walls, leaning walls, sloping floors, wall cracks, floor cracks, foundation cracks, water stains, slab cracks, garage column cracks, sticking doors and windows, and stairs or stoops pulling away from the foundation. 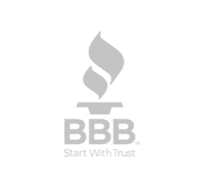 If you see these signs, call us to evaluate your home or business. 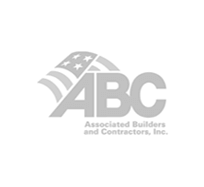 We work in both commercial and residential underpinning. A wet or damp crawlspace is also an inviting place for insects and critters. High humidity in your home is also a sign that you have a wet or damp crawlspace. 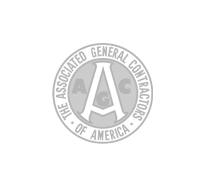 The professionals at Atlas Piers of Atlanta has the solution for your wet or damp crawlspace in your Georgia home or business. We can do crawlspace encapsulation using a vapor barrier. This vapor barrier lines the walls of your crawlspace keeping it moisture free. 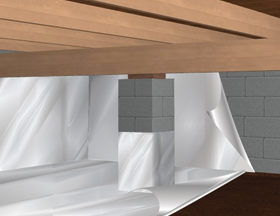 The vapor barrier we use for crawlspace encapsulation is made by Earth Contact Products (ECP), the leading manufacturer of foundation repair and basement waterproofing products in the industry. The ECP vapor barrier is 10-mil and 16-mil thick and is puncture resistant. The thin vapor retarders that you can buy at your local hardware store are only 6-mil thick and are not puncture resistant. Once even a small hole gets into the material, it is useless. Let the experts at Atlas Piers of Atlanta repair your crawlspace using the best materials available. Once your crawlspace in encapsulated with a vapor barrier, you will notice that your energy bills are lower. The vapor barrier acts as an insulation keeping the home cooler in the summer and warmer in the winter.